Welcome to our Acura and Honda Lease Return Center in Houston, TX. We pride ourselves on being one of the best place to return your leased Acura or Honda vehicle in the city. From the lease return inspection to helping you complete the paperwork, our team of lease return specialists make it simple and easy for you and your family. At Gillman Acura, we provide you with great service and an easy process on lease return. Visit us in person or call (866) 777-6495 for more details. When it comes to returning or trading in a leased Acura or Honda car or SUV in Houston TX, Gillman Acura is your go-to source for friendly, no hassle customer service. There is no further commitment or purchase required. Follow this easy process to return your Acura car, SUV or crossover at the end of your car lease agreement. Contact Gillman Acura to discuss the vehicle return process. 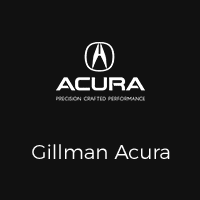 Schedule your vehicle inspection by contacting Gillman Acura. Make an appointment to return your vehicle to Gillman Acura near I-45N and 1960. Contact a Customer Service Representative at 1-866-777-6495 to inform Acura Financial Services® that you have returned your vehicle. If any end-of-term liabilities apply, they will be billed at a later time. Gillman Acura & Acura Financial Services® advises you to begin preparing for the end of your lease six months before your contract ends. That way you have time to weigh all of the options you have at lease-end. For more information, contact Gillman Acura. If you have any questions, please feel free to contact us directly at (888-355-6443) or fill out the form below and someone will contact you shortly!